Thinking about submitting a proposal for the call on open and online education but have questions? Need information about this years’ theme concerning online guiding of students? Or searching for examples on how to share and reuse existing open learning materials with colleagues in domain-specific communities? Then keep on reading this post with background information and the announcement of an EduGrant event dedicated to the SURF call. On behalf of Maastricht University, the UM Library attended different seminars on these topics organized by SURF. Below you will find short summaries of these seminars, which can serve as inspiration for writing your proposals. If you want more in-depth information about these topics, click on the concerning links. The seminar on 21 September focused on the topic of online coaching of students (pillar 1). Online coaching can be a good way to maintain extensive contact between teachers and students and thus improve the quality of education. To investigate this, SURF brought together five higher education institutions that already have experience with online guidance of students. Based on their input, SURF published an exploratory brochure. Read more about this seminar. The event around the topic of sharing and reusing existing open learning materials within domain-specific communities (pillar 2) was unfortunately cancelled, but we gathered some relevant good practices and added lessons regarding this pillar. →be sure to involve 4 days for guidance (by SURF) and knowledge dissemination activities. 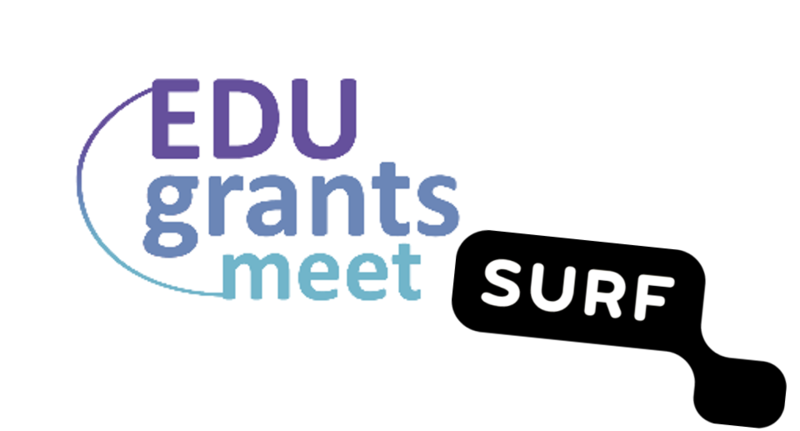 Candidates for the SURF call are invited to pitch their project ideas in the earlier announced EduGrant Event on 8 November (13.30-15.00). Colleagues who pursued (and received) a grant in previous calls as well as funding advisors will be present to provide feedback on your idea and share their experiences. You can register for the event by sending a mail to blended-pbl@maastrichtuniversity.nl. Proposals can be submitted until 17 December, 12.00 via a dedicated link to the Ministry of Health, wellbeing and Sports (in Dutch). The pillar Online Education uses a specific year theme. This in order to strive towards a connection between all the projects and make the lessons learned more profound and sustainable. Previous themes were ‘peer feedback and assessment in online education’ (2017) and ‘online coaching of students’ (2018). We kindly invite you to propose ideas for next year’s call! This can be done until 28 November. Have questions or need help? Please contact the Blended PBL Support team via Ask your librarian.